Each song title on Solomon's "Serious" EP ends with a series of corresponding emojis. "Shoot My Shot" features a basketball, "Well Done" features a pair of hands clapping, and "Alone" features a boy with his head hanging low. This use of symbols isn't a crutch, but a further extension of Solomon's endless outpouring of self-expression. In interviews, on Twitter, at shows, and on his recordings the Kansas City rapper is constantly willing to show and tell his following exactly how he feels. Solomon's first EP last year, "My First Words," allowed him a small platform to display his talents, but "The Serious EP" makes for a much more comprehensive introduction to his style. 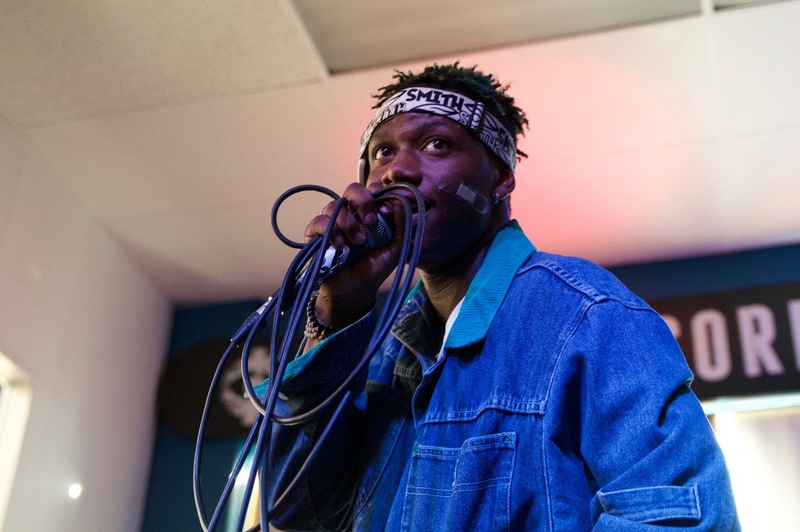 "Serious" and "Alone" show Solomon at his most vulnerable, while "No More" and "Shoot My Shot" show listeners the rapper at his most boisterous and outgoing. No matter his mood, no matter if he's making a lonely bedroom rap or a pop radio smash, Solomon is simply being himself. Listen to "The Serious EP" below.